This morning we received some beautiful drawings of Lithuania. 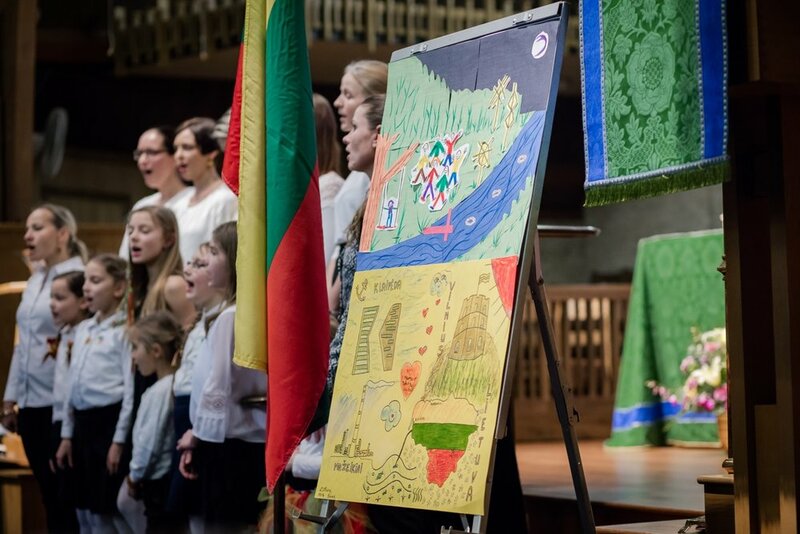 The families from the school participated in the competition "Drawing Lithuania" and we thank them for their beautiful efforts! Congratulations to E. Paurys family for great, original work. After the classes we had a beautiful concert. We listened to the teachers and the students read poetry, girls and women choir sing and watched the youngest students dance. We are very thankful to our music teacher Viktorija, our dance teacher Egle, our accompanist Ingrida and teachers Dove and Monika for a beautiful event and performances. It was a great community celebration for Lithuanian's birthday!